On June 30, 1956, at 9.01am (PST), a Lockheed L-1049 Constellation (TWA Flight 2) departed Los Angeles International Airport on a scheduled run to KMCC (Kansas City Downtown Airport) with 64 pax and six crew members. At the helm, was 41-years-old Captain Jack Gandy, a 17-year TWA veteran, with no less than 177 previous flights over this route. Three minutes later, a Douglas DC-7 (UAL Flight 718), with 48-years-old Captain Robert Shirley, in command, (16 years with UAL), also departed Los Angeles with 53 pax and five crew members aboard, bound for KMDW (Chicago's Midway Airport). If you wish, you may jump ahead now and see the screenshot of the their intended routes (superposed) on the AS/FSC Flight-Planner map - routes just shown "as the crow flies" for comparison. The shorter/lower route to Kansas City is for TWA Flight 2. These two (eventful) flights would shape the next 60 years of air traffic safety measures! UAL DC-7 climbed to an authorized altitude of 21000'. Meanwhile, TWA L-1049, been initially declined the request to climb to 21000' (to avoid thunderstorms forming in its path), Captain Gandy then requested (and was granted) "1000 on top" (i.e. flying 1000' above the clouds). At that time, an aircraft cleared to operate "1000' on top", also meant that it provide its own separation from other IFR aircraft, which placed the responsibility for maintaining safe separation from other aircraft solely upon Gandy. He opted to increase his altitude to 21000'. As the two aircraft, approached Grand Canyon (AZ), now at the same altitude, both the planes were believed to be maneuvering around towering cumulus clouds (likely from opposite sides of the same cloud-system). At about 10:30am, the flight paths of the two aircraft intersected at the same "space-time" point. The resultant collision plunged both aircraft instantly into the depths of Grand Canyon on the Colorado River. With 128 fatalities (all aboard both planes), this collision became the deadliest air crash on U.S. soil of any kind. The crash was collectively blamed on turbulent weather, outdated (VFR) Visual Flight Rules and a critical lack of (Crew-ATC) communication (e.g. as was the practice at the time, Captain Gandy's request had to be relayed by a TWA dispatcher to the ATC, as neither flight crew was in direct contact with ATC after departure). The control of American airspace, at the time, was split between the military and the civil. The result was a series of near-misses and collisions involving civil and military aircraft, the latter often flying at much higher speeds than the former. So, after many hearings, in 1958, the Federal Aviation Agency (FAA) was born, later renamed the Federal Aviation Administration in 1966. The FAA was given total authority over American airspace, including military activity. This accident also triggered a serious boost to the (primitive) ATC infrastructure - an investment in excess of $250 million (in 1958 valuation!). Also, smart TCAS (Traffic Collision Avoidance Systems) became standard equipment on commercial airliners. The remarkable enhancement of safety records, since then achieved, is a clear testament to the effectiveness of these and other related milestone aviation measures. Sad series of pics. I'm old enough to actually remember that tragedy. Amazing but sad story, great idea to pay tribute in this way! Thank you, I never heard of this piece of history before. Thanks, Folks, for the comments and thoughts. Wow, fantastic write up and tremendous pictures and boy does it take me back. In 1961 at age nine I stood at the debris field of another TWA Connie on Miller Field on Statin Island which had coincidentally collided with another UAL plane, a DC-8 killing 134. My home on Fort Wadsworth was only about 5 miles from the Connie crash site. The DC-8 flew on a couple more miles and crashed in Brooklyn. I saw rescue workers policing the area with gunny sacks looking for pieces of remains. There was one little boy on the United DC-8 flying alone from ORD to Idlewild (now KJFK) who survived but succumbed a day alter from his injuries. So sad. This accident also bought about a lot of attention to the over loaded ATC system and I believe had a lot to do with placing voice recorders on aircraft. They did have data recorders but no voice. 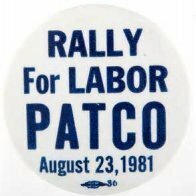 On a personal note a couple of controllers involved were in on the ground floor of the birth of PATCO the controllers union that led to the 1981 strike and firing by President Reagan. This ended my Air Traffic Control career. So at nine years old I was looking at the beginning of the end of my aviation career. Of course I don't mean to show irreverence to those who perished by mentioning my own personal out come relating to that tragedy. I'm getting old and seems I remember the distant past better then last week. Or sometimes the last hour. "At 128 fatalities, the Grand Canyon collision became the deadliest U.S. commercial airline disaster and deadliest air crash on U.S. soil of any kind. It was surpassed in both respects on December 16, 1960, by the 1960 New York mid-air collision (another case involving United and TWA aircraft)." "I used to think every night that my father would walk out of the Grand Canyon, sunburned and scraggly, saying, 'They screwed up, I'm fine, here I am,'" he said."